So Europe brought Greece to heel like an unruly dog, eh? And the government of that sad-sack nation got stuck with the same onerous debt terms it was trying to avoid when it held a referendum? German bankers win, life goes on... right? Rightly or wrongly, the reason Greece tried to wriggle out of its debt obligations is its economy simply can’t grow the way things are. And sure enough, since Greece was forced to grovel and accept Germany’s terms, Greece’s economy will continue to shrink. The country’s GDP should contract 0.7% in 2015. That’s down from a 0.8% expansion in 2014, according to most estimates. It will be the seventh annual decline in eight years. Overall, Greece’s economy has shrunk by 25% since 2008. And the smaller the economy gets, the less of a debt burden it can bear (and the more it depends on European handouts). It’s a vicious cycle that feeds on itself. Also, remember how shocking Greece’s unemployment rates were, with 25.9% of the general population and more than half of young people out of work? Well, that’s getting worse, too. General unemployment will average 26.3% this year. Now that Europe is giving Greece more cash injections, its banks were supposed to unfreeze. People were supposed to be able to get access to their money. In fact, Greek banks, which have basically been frozen for a month, are expected to keep cash controls in place for months to come. This is worsening the economy (see point No. 1). That’s because banks limit withdrawals to 420 euros a week. That chokes economic activity and borrowers’ ability to repay loans. Oh, and the Greek stock market, which was also closed for a month, keeps putting off opening up. Greece owes Europe 300 billion euros. Even the International Monetary Fund says Greece can’t pay that back. Yet Germany shows no signs of allowing debt forgiveness. To recapitalize and unfreeze the banks would take a back-of-the-envelope injection of another 25 billion euros. So would that be added to the debt that Greece already can’t pay? Some problems have no solutions. The problems that drove Greece into crisis aren’t fixed. The can has been kicked down the road for a bit. The country’s debt is now 170% of GDP. And since the economy is shrinking, the debt-to-GDP ratio is only going to get worse. Greece is supposed to sit down with its international creditors to talk about a new bailout package. The meetings with officials from the European Commission, European Central Bank and International Monetary Fund were supposed to start last week. Then the meetings were supposed to start today. Then they were delayed again. Do you get the feeling that maybe no one wants to have these meetings? Maybe because both sides know that without debt forgiveness, there is no solution to Greece’s economic crisis. This ongoing Greek tragedy could have many more acts to play out. To be sure, Greece doesn’t have any real impact on the U.S. It’s even a minor peripheral figure in Europe as a whole. But at the heart of the crisis is whether the euro is a viable currency - does it do more harm than good to weak nations that adopt it? I think the answer to that question is one that could rock the euro and send ripples through the global financial system. 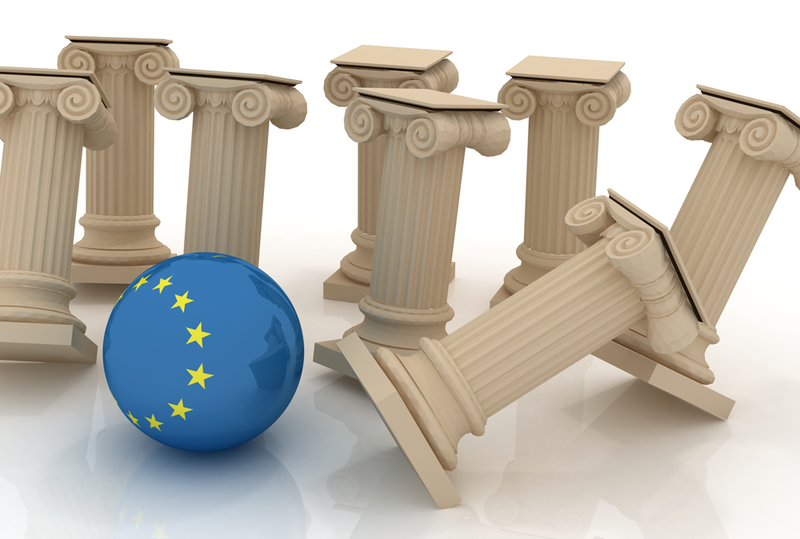 Regardless, there are several opportunities for investors in Greece. I gave my analysis and favorite picks to play this situation in a recent report. But whatever you do, just be sure to do your own due diligence. Don’t have the stomach to invest in the eurozone right now? That’s understandable. Though there are plenty of bargains and growth opportunities overseas, today we’re going to focus on a tried-and-true income play... one that reliably pays investors each year. We’re talking about Digital Realty Trust (NYSE: DLR). The company is a longstanding holding within Marc Lichtenfeld's aptly named Compound Income Portfolio, part of The Oxford Income Letter. It rents warehouse space to corporations and government entities that need a place to store their servers. Digital Realty Trust owns and operates over 100 such properties all over the globe. The good news for investors? This company is organized as a real estate investment trust, which means it must pay out 90% of its net income in the form of dividends. As a result, it is not taxed on its profits. Here's what Marc had to say when he first recommended the stock to Oxford Income Letter subscribers: "Digital Realty's average lease is signed for 11.7 years and currently has 6.9 years remaining. Its customers include household names like Yahoo, AT&T and Morgan Stanley. "Additionally, 85% of the company's leases have annual increases built into the contracts. Funds from operations should remain strong for years to come."